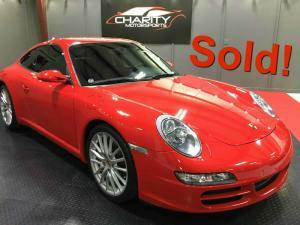 I had been looking for a Porsche 997s for a few months watching them online. I found one that ticked all the boxes but was located in Texas, 1200 miles away from me. I generally like to see a car before buying, but after speaking with Matthew he was able to answer all my questions. I took the leap and flew down to TX to buy it and drive home. I kept my expectations low so as not to be disappointed in case it didn't meet my expectations. When I saw the car I was blown away. It was in way better condition than expected! Very happy with my purchase. Thanks Matthew and Charity Motorsports for representing your cars well! Great, astonishing selection of cars. got my first porsche 911 with them. they were super cool to work with. matthew always has an ear and takes things easy, no hassle, no sales pushing or pressure, no stress which made me very attracted to them. cheers guys, due to you my faith in used cars got restored. 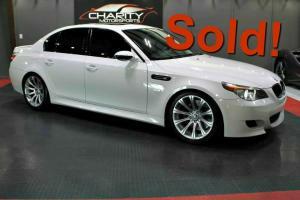 Just bought my BMW from Matthew and the team at Charity Motorsports a few days ago. 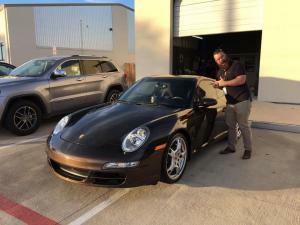 I drove down all the way from Dallas because of the quality of cars, attention to detail and customer experience that was provided. Matthew was exemplary during the duration of my transaction. He was very helpful and knowledgeable and make this a smooth process for me from beginning to end. I highly recommend these guys to anyone looking to upgrade their car. My wife isn't really a car-person but there is something about a Tesla Model S that she has always loved, so much in fact that it's the only vehicle she could consider a "dream car". So, with a lot of saving up and a fair amount research we starting looking for one. Within the first week of searching online we found one here at Charity Motorsports that had everything we wanted with super low miles. It was the perfect color combination and was right in our price range. We called up the shop and Matthew gave us all the information we could ask for. 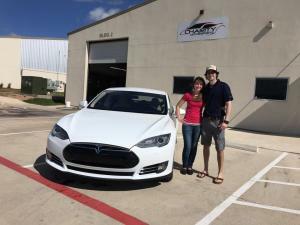 The purchasing process was super easy and everyone we met (especially our salesperson Matthew) was awesome. I almost wish the process would've taken a little more time so I could check out all of the other awesome cars they have for sale! If you're in the market for something luxurious, sporty, exotic, or just really cool, you would be doing yourself a disservice to not go here first. I'd give them more than 5 stars if I could. Had a great experience at Charity Motors. Traded an 13 Audi RS5 for an 14 r8 and am very happy with it. The process was quick and efficient. 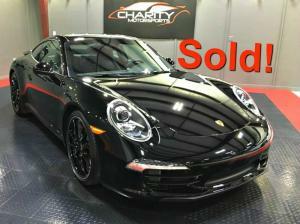 They have a very impressive inventory of high end cars well worth the drive to Spicewood. Extremely professional and knowledgeable and highly recommend the dealership. 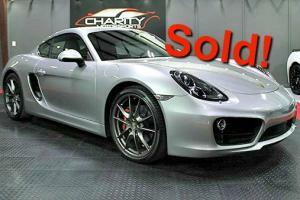 Purchasing a 2014 Cayman S, Matthew has answered every question and taken care of things. Being a out of state buyer was new to me, Matthew answered all questions and conces. I would/will recommend them to anyone looking for a automobile- they'll take care of you. 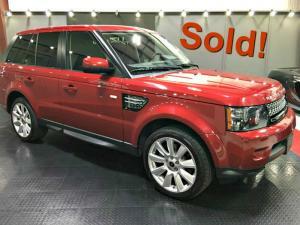 Purchased a Range Rover sport from Matthew and was extremely satisfied with their service before and after the sale. Strongly recommend Charity Motorsport for any of your vehicle needs! Thank you Brad and Matthew for your professionalism and great customer service. These guys are great! Matthew was very helpful. 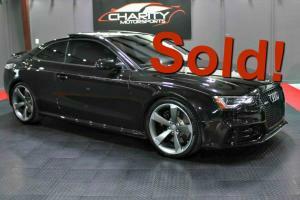 I had been shopping for an S or RS5 with very specific requirements for over a year. Matthew was great at helping me look at different options to make sure this was the car that I wanted. We arrived at the price very easily and would definitely consider them again when ready to trade this one in, but that won't be anytime soon! Thank you Gregg, Matt and Matthew! Great place to buy a car. These guys made my first car purchase feel like I was buying from a friend. I was very busy and calling wasn't always available so Matthew gave me his personal line to text him. Not only was this my first car purchase, but I do not live in Texas so it made me worry more about buying. There were plenty of videos/pictures online and I got what I paid for. The car was delivered to the east coast in less than two days. I am in love with my BMW M5. Thanks guys. 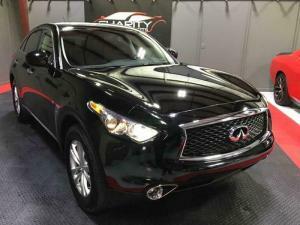 I bought an Infiniti QX70 from Matthew Tomlinson at Charity Motorsports a couple of weeks ago. Prior to deciding upon this vehicle; my husband and I spent quite some time researching this vehicle. 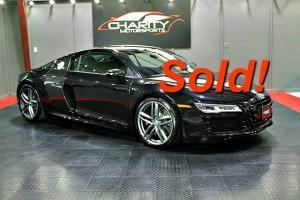 We ultimately ended up deciding to purchase the vehicle from Charity Motorsports because of the excellent value. Their pricing was very fair and there were no hidden costs. We feel great about our purchase and know that we made a good decision purchasing from Charity Motorsports. Additionally the transaction was seamless - Matthew had everything prepared for us when we arrived. All of the purchase documentation was exactly as we had discussed. 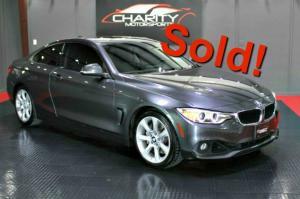 Matthew sold us an amazing vehicle at a fair price and created pleasurable experience. To top that off, we love their commitment to supporting charity with their profits. Thank you Matthew, Thank You Charity Motorsports!! !